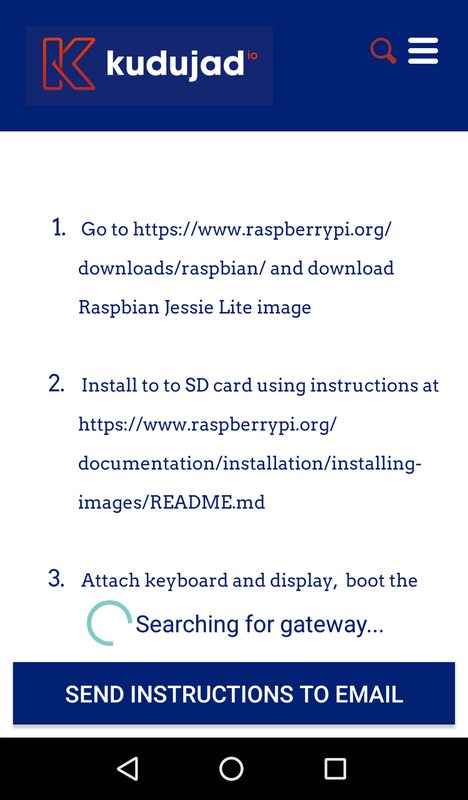 You need a Raspberry Pi (any generation will do) and some end-devices. For supported end-devices see the list here. Just download the Kudujad.io app Beta version from Google Play store. 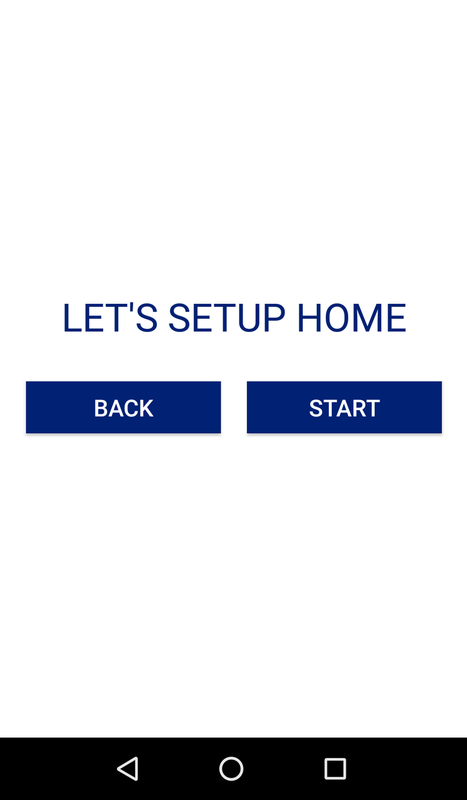 If you haven't done the setup yet the app will offer you to do so. 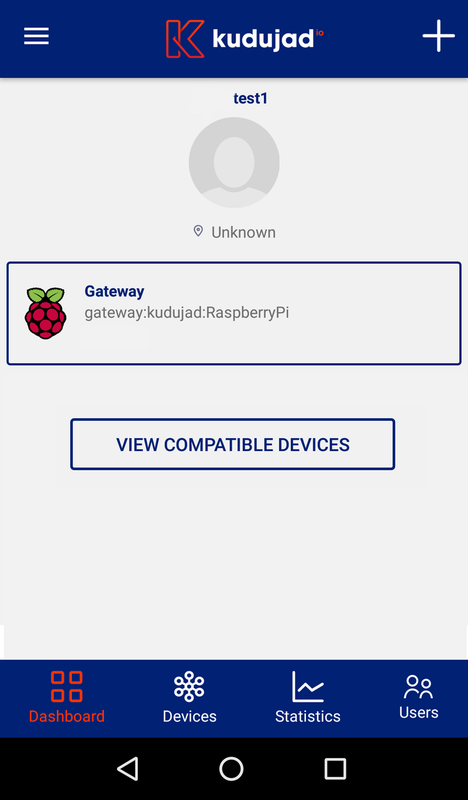 When you press "Start" app will show you instructions how to prepare your Raspberry Pi to work with Kudujad.io platform. You can a look at the instructions at gw-setup page. App will stay at Instruction page while looking for your Gateway to appear on network and proceed when it find one. 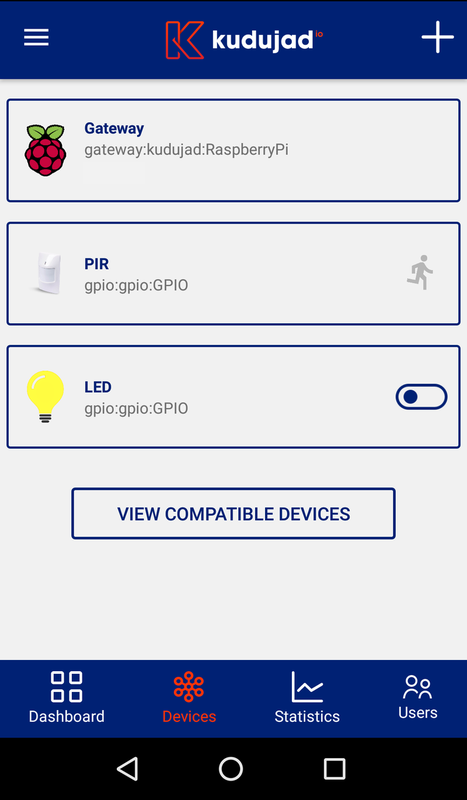 You will have to enter your home name and then you will land on the app Dashboard which will show your Raspberry as first enabled device. To add the end-devices navigate to Devices tab and press the "+" sign in the upper right corner. 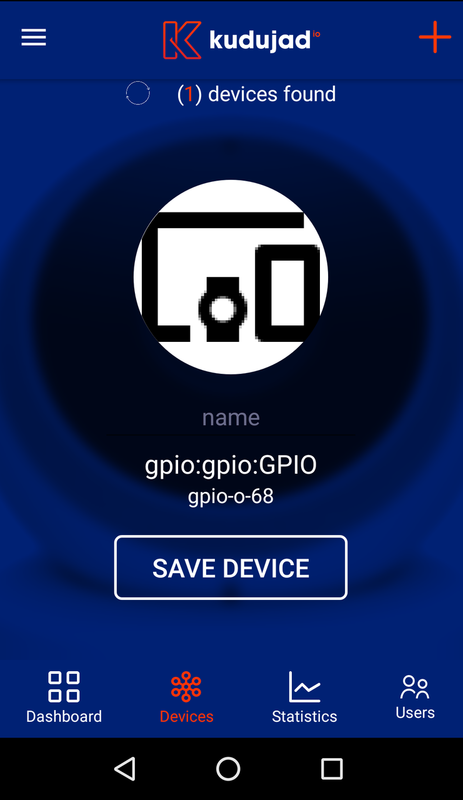 This will bring up the Discovery screen which will find all the connected but not yet enabled devices connected to your Raspberry. Note that more than one device may be discovered and you can move between devices with right-left swipe. Set a name and click "Save Device" and you are good to go!